Good morning, chic readers! We try not to play favorites when it comes to house tours. I mean, they make every Wednesday pretty fabulous. But this Greenwich Colonial, designed by John Bjornen is really topping the charts for favorite houses. Plus really, really cool light fixtures, which is always a plus. Chic storage is always in style, and the color of this bar is absolutely amazing. A cozy sitting room is just right for guests–and huge pictures and plenty of lighting keep it from feeling stuffy. We love a charming sitting nook in a master bedroom. This one is absolutely adorable! What’s the perfect complement to this stunning indoor space? A fabulous outdoor space, of course! This pool is positively serene. Dining al fresco must be one of our favorite pastimes. This is the absolutely perfect spot–and this outdoor fireplace is the cherry on top that keeps the outdoor fun going no matter the weather. This pretty, intimate porch is the perfect place for a quiet chat on a sunny day with a good friend–or a great place for curling up with a good book. Perfectly symmetrical and even more perfectly manicured, what’s not to love about this Greenwich home? We can’t think of a single thing! Absolutely stunning! Nothing beats a white stately Colonial- especially when it is decked out so spectacularly! You are right about the lighting, and it really seperates the regular old homes from the big boys. Also love all the beautiful moulding (white of course), that gold screening in the upper cabinetry is gorgeous, and I can go on and on. And thank you so much for the great book recommendations! 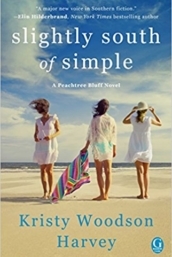 I took “Slightly South of Simple” with me on a recent vacation and it was delightful! I have since bought the other two and an plowing through those! Stunning home in a lovely town. Enjoy your week, lovely ladies. 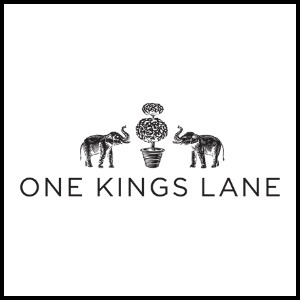 I would like to Thank You and your team I’m a fairly a new comer to your site but I’m enjoying all the outstanding Home tours. I look forward to have my morning cup of coffee and reading your daily post. What a gorgeous home. I love, love the outdoor spaces – especially having the table by the fireplace but what really caught my eye was the large black and white photos in the wide woodtone frames in the cozy sitting room. I love really big art especially when it’s b/w photos! A favorite for sure. The home offers numerous welcoming sitting spaces. I especially love all the gold accents. The gold table base is amazing.